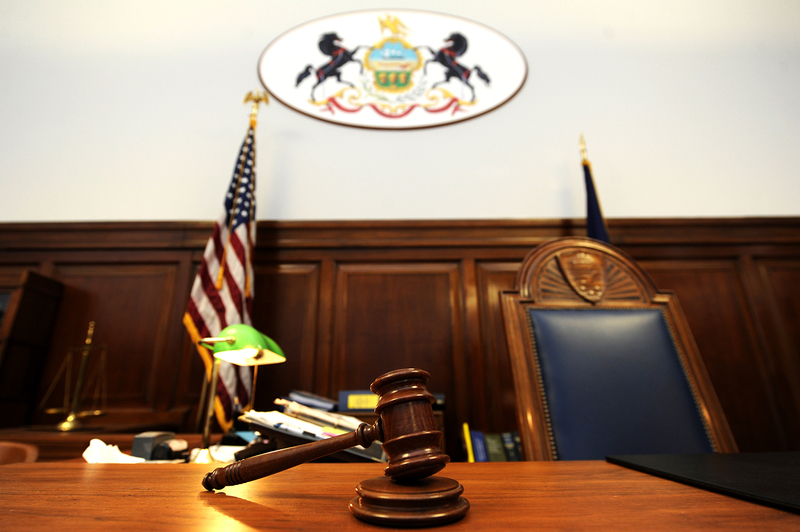 For Pennsylvania murder defendants, punishment is often meted out behind closed doors. With stakes including life without parole, better outcomes often don’t hinge on a jury. Or a judge. It’s a matter of agreeing with the prosecutor. Admit guilt, get less time. Or fight the commonwealth’s case and risk losing everything at trial. “The client’s staring down the barrel of ‘OK, the rest of my life is gone,’” Pittsburgh defense attorney Frank Walker said. Had those same cases gone before a jury, many local defendants faced that worst-case scenario of life in prison, according to court data. For prosecutors, a loss at trial would mean a defendant they think is guilty walking free. Attorneys on both sides generally see plea deals as a necessary part of a clogged justice system. But to some, the difference in consequences suggests a distorted system that pressures defendants to admit crimes to avoid the most serious punishment. 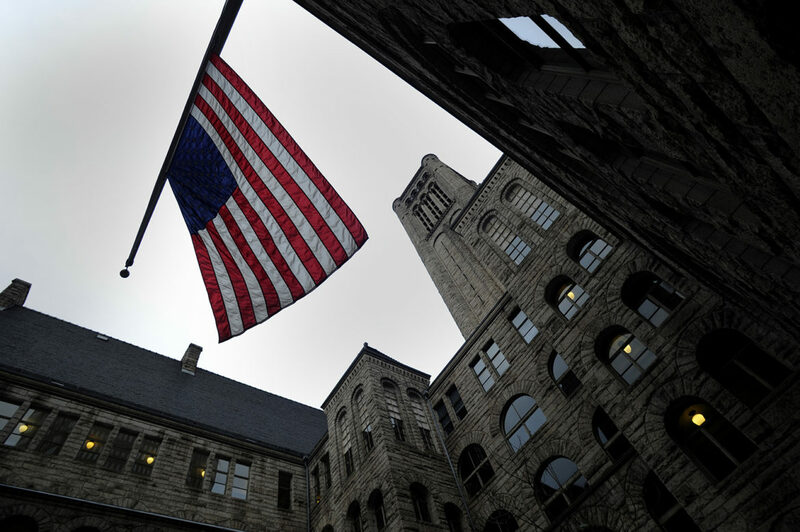 More than 100 Allegheny County defendants pleaded guilty in homicide cases filed in the past six years, nearly all of them for less serious charges like third-degree murder and manslaughter, according to a PublicSource analysis of data from the Allegheny County Court of Common Pleas. The outcomes are much bleaker at trial. 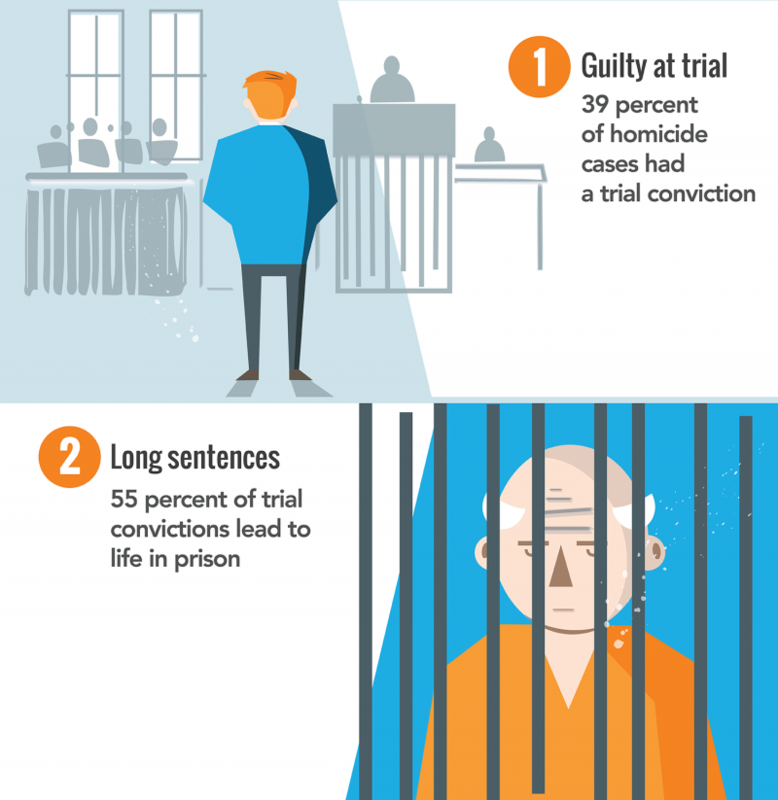 Fifty-five percent of roughly 100 convictions ended in a mandatory life sentence for first- or second-degree murder. According to court data, the Allegheny County District Attorney’s office prevails in about 80 percent of homicide cases, including those with a guilty plea. Not all cases have a plea offer, especially if the commonwealth has a strong case and wants the strictest punishment, or if a defendant has little to offer in exchange. But in cases with plea negotiations, defense attorneys say that going to trial puts defendants in additional peril. For example, Daniel Carnevale fought his charges but was convicted in 2007 at age 43 for setting a deadly apartment fire that killed three Bloomfield residents in 1993. The case went unsolved nearly 14 years until Carnevale was arrested in California. An Allegheny County jury found him guilty on three counts of second-degree murder. He is serving three life sentences. But what if a jury never got the case? Click each image to see a different scenario. Had Carnevale pleaded guilty to lesser charges, he would have served only a few years in prison, said Walker, who spoke generally about the case and did not name his client. PublicSource matched news accounts and court records with Walker’s account to identify Carnevale. A representative from the district attorney’s office confirmed discussions took place that could have led to a plea and said the defendant insisted on a trial. Because Carnevale was convicted of second-degree murder, Pennsylvania law allows no sentence other than eventual death in prison. Many local attorneys shared similar stories. And sometimes a deal seems close, but the parties can’t agree on exact terms, so a case goes to trial with higher charges intact. Allegheny County District Attorney Stephen A. Zappala Jr. said decisions about plea deals depend on the strength of each case. 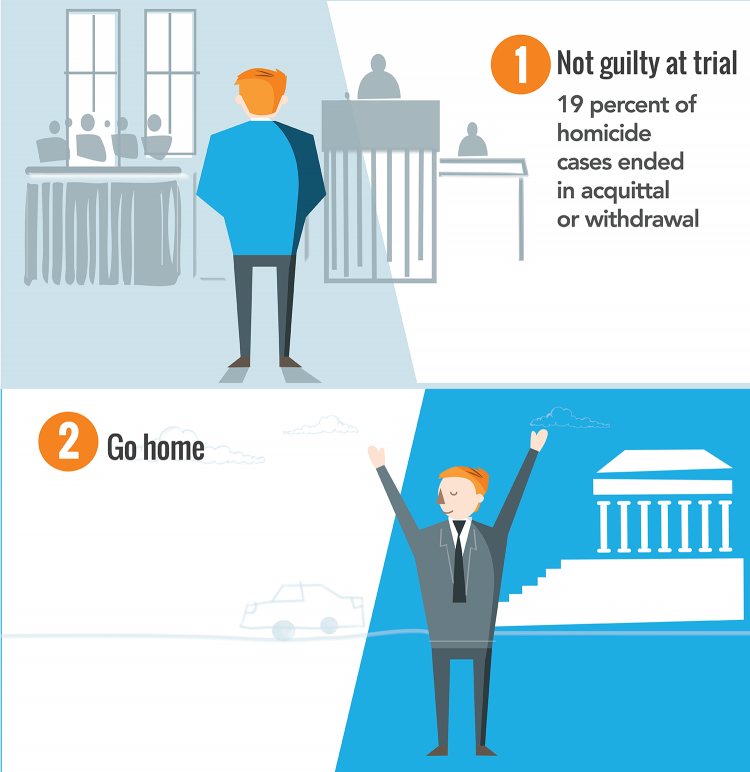 Prosecutors evaluate evidence depending on how it might play in front of a jury. So why the disparity in punishment? One reason, according to court data, is that murders are typically prosecuted with a catch-all “criminal homicide” charge. That means a defendant is simultaneously facing anything from first-degree murder, punishable by mandatory life in prison — or death in capital cases — to involuntary manslaughter, punishable by as little as a few months in prison. But it’s often not until the trial is underway that some of those degrees may be dropped. Zappala said prosecutors do consider mitigating factors that might lead to more lenient charges. If a defendant pleads out, often a specific sentence is discussed, attorneys said, so both the defense and prosecution know exactly how the case is resolved before a judge has a chance to sign off. Other times a judge has the last word in sentencing, though not in negotiations regarding which charges will be dismissed. Because the stakes of a trial are so high, Pittsburgh defense attorney Ralph Karsh complained that prosecutors offer deals that are just good enough to keep defendants from going to trial. The deal might not seem fair, but it won’t be life in prison. “They have this huge hammer because Pennsylvania is a state of life without parole,” Karsh said. Prosecutors can also seek the death penalty for first-degree murder, and in rare cases, defendants plead guilty to avoid the threat of execution. For a prosecutor, a plea deal means a dangerous person is behind bars. There’s no chance that a jury will see the facts of a case differently and allow the defendant to walk free. Homicides are notoriously difficult to prosecute. Witnesses fail to come forward. They shrug agreements to testify, and that can mean a killer walks free. “You can’t go to trial and tell the jury, ‘I know he did it, but I don’t have any evidence to prove it,’” said Zappala, who is running for state attorney general. Plea deals can be a valuable incentive to get co-defendants to testify against a trigger man. But if a defendant has nothing to offer, there’s no bargain, even if other conspirators are treated leniently. “Sometimes it’s unfair. But that’s the reality,” defense attorney Thomas Farrell said. Farrell has had clients charged with murder because they were at the scene with the shooter. But because they didn’t have information the commonwealth deemed valuable, they were taken to trial. The wishes of the victim’s family are also considered. A plea deal may be preferable to a trial to spare a victim’s family the ordeal, said Richard Long, executive director of the Pennsylvania District Attorneys Association and a former prosecutor in Dauphin County. Zappala said it’s up to a defense attorney to explain to their clients the difference in possible outcomes between a plea and a trial conviction where punishment could include life in prison. “That’s where the attorneys come into play and that’s where they earn their money,” Zappala said. The justice system’s reliance on guilty pleas for all kinds of criminal cases and the disparity of outcomes have drawn significant criticism. U.S. Senior District Judge Jed Rakoff of the Southern District of New York called the typical portrayal of a Sixth Amendment trial by jury “a mirage.” In a 2014 article called “Why Innocent People Plead Guilty,” he criticized federal and state justice systems for their widespread overuse of plea deals with little judicial oversight. Nationally, about 90 percent of all criminal cases end in a plea. Both prosecutors and defense attorneys say plea deals are a necessity. By most accounts, the courts would grind to a halt if all criminal cases were prosecuted to trial, and at exorbitant cost to taxpayers. Common Pleas Judge David Cashman, administrative judge of the criminal courts in Allegheny County, said he hears about 1,500 cases a year, including about a dozen homicides. Other court business is done in the middle of trials, during what Cashman terms his euphemistic 10-minute breaks. 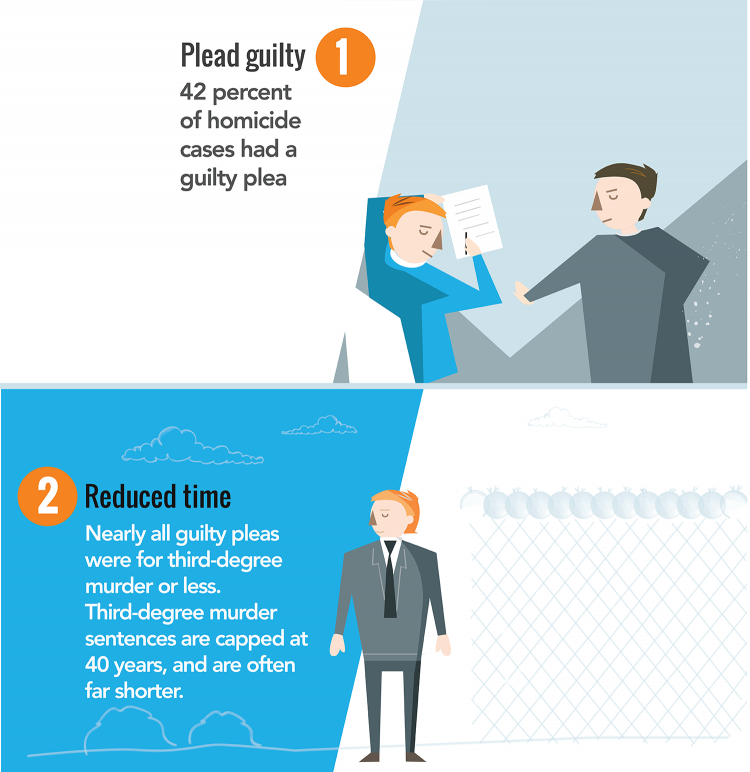 Plea deals mitigate that and can lead to a significant savings of time and resources. Attorneys say plea deals often make sense, especially when the evidence points toward guilt. But the deals can be motivated by fear, said defense attorney Blaine Jones. Defendants are asked to make a cost-benefit analysis. It’s a choice between exercising their constitutional right and risking life in prison or taking the lesser punishment offered by prosecutors and relieving them of the duty to prove guilt in court. “It’s a scary proposition to turn down a 20-year deal,” Jones said. But a trial also gives a chance for vindication. Instead of the guaranteed punishment offered by prosecutors, a defendant could be found not guilty and go home immediately. Fighting charges means accepting a much greater risk.